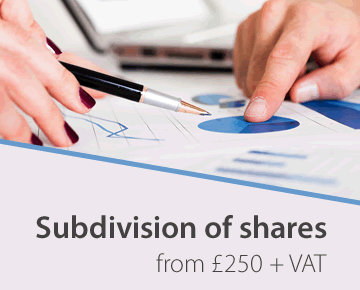 Converting existing shares in a company to shares of another class. Companies can have different classes of shares and may set up new classes of shares at any time. 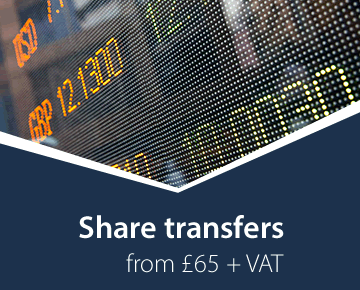 Shares can be converted from one class to another, e.g.from ordinary shares to A shares and/or B shares. This procedure is sometimes required on its own, but often is part of a wider process to create new classes of shares in a company by drafting new articles, adopting those articles for the company and then converting some of the existing shares into shares of the new class or classes. This service is used where existing shares (e.g. ordinary shares) are to be converted into a different class of shares. For example, if shares in a company are held by two different people, and the company wants to pay different dividends to the two shareholders, the company might decide to set up two classes of ordinary shares, A shares and B shares, equal in all respects, except that the directors (or the shareholders) are given power in the articles to vary the dividends between the two classes. 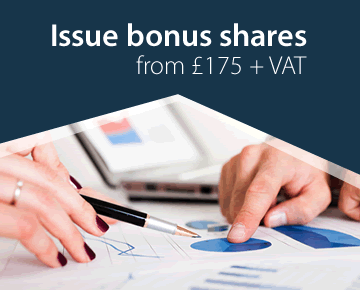 One shareholder&apos;s shares are converted into A shares and the other shareholder&apos;s shares into B shares. This is just one example. 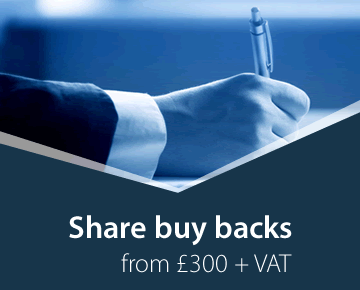 There can be many different reasons to convert shares from one class to another. In all cases, such conversion will require the consent of all the shareholders in the company because, in effect, every shareholder&apos;s rights are affected by such a change. The directors then note that shareholder&apos;s consent has been given and resolve to put the change into effect and send the required forms to Companies House for registration. When this service is used in conjunction with another, such as setting up new classes of shares, we naturally produce one set of documents that deal with all the matters at once. We will not send you different sets of paperwork for the separate stages. Our Prices page shows the cost of the individual services separately and also the cost of combining two or more of them together as one service. The service described on this page will be provided at our standard benchmark price, except in very exceptional cases, but please note the comment above about combining services, and note also that this service is often provided in addition to other services, such as reviewing, drafting or updating the articles. All costs are kept on one web page to make updating for VAT changes, etc. simple.